CAS believes the most important role of the Charter is to embed the Social Security Principles into the system to empower those using it to challenge substandard service and seek redress, and to train all staff who come into contact with system users. CAS suggests the Committee may wish to explore with the Scottish Government how the Charter can be embedded in staff training; publicised; used to encourage and respond to complaints and feedback; and monitored and evaluated by the Scottish Government, Parliament and Scottish Commission on Social Security. 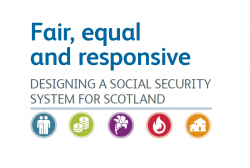 CAS welcomes the Charter being co-designed with people with lived experience of the social security system, which we would consider essential to it being meaningful. CAS would recommend the Parliament consider how it might enable any other individual or organisation with an interest to be consulted, as part of its scrutiny of the draft Charter.